Something of a Christmas miracle may be in store for one lucky Canadian with a $60-million Lotto Max jackpot up for grabs. "It's going to be a happy holiday perhaps for someone in Ontario or Canada," OLG spokesperson Dita Kuhtey told CTV News Channel on Friday. Canadians have until 10:30 p.m. ET to purchase a ticket for Friday’s $60-million prize. Twenty-one $1 million prizes are also up for grabs. Tonight's draw marks the third time this year that the Lotto Max lottery has hit its $60-million cap. "If the jackpot isn't won, it goes up each week," Kuhtey said. She said the odds of winning tonight’s jackpot are one in 28 million, while the odds of winning any prize, which includes a free play, are one in 6.6. Winning the $60 million may seem next to impossible, but Kuhtey adds, "it just takes one ticket." Unlike Lotto Max, the OLG's Lotto 6/49 lottery does not have a cap. In October, a winning ticket for a record-breaking $64 million jackpot was sold at an outlet in Mississauga, Ont. Kuhtey said it's not unusual for lottery winners to hold off on claiming their prize. "Some people want to sit back and take some time think about it," she said. "This is a life-changing amount of money. Some people want to get their finances in order." 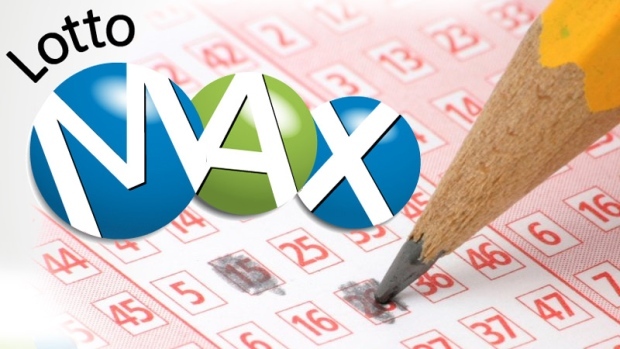 Lotto Max tickets can be purchased at lottery retailers and online at playolg.ca. The winning numbers will be drawn on Friday before midnight.